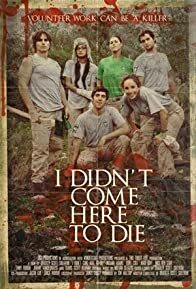 The story of six young volunteers working on a humanitarian project in the woods. Horrific accidents, rash decisions and the unpredictability of human nature leads them all to the same disturbing conclusion. Volunteer work can be a killer.